Autoglass is a vehicle glass repair and replacement company which has a network of branches around the UK and also provides a mobile service. 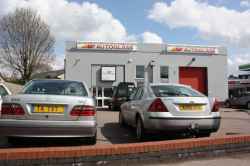 Based in Elizabeth Way, Cambridge, Autoglass is a business. Clearly my time is not important! by Disenchanted! Great Service - Keep it up! by Phil. Autoglass is in Elizabeth Way Cambridge. You can view a list of neighbouring businesses by going to the Elizabeth Way page. If you would like a list of other listings throughout Cambridge, please visit the Windscreen Services section of this website. Note: the pin is positioned at the postcode centre, and may not correspond with the precise location of 2 Elizabeth Way.